Netgear has introduced the Nighthawk X6 Tri-Band Wi-Fi Mesh Extender, the EX7700. The EX7700 users patented Fastlane3 technology, with a dedicated 866Mbps 5GHz band for extending internet speeds. Nighthawk X6 joins the existing family of Nighthawk Mesh extenders that employ a dedicated WiFi link to provide an uninterrupted flow of data between the primary router and the extender. MU-MIMO and Smart Connect ensure every device is assigned a fast Wi-Fi connection, according to Netgear. “Netgear first introduced powerful Tri-band Wi-Fi mesh systems to our product range in 2016 with Orbi Whole Home Wi-Fi systems. 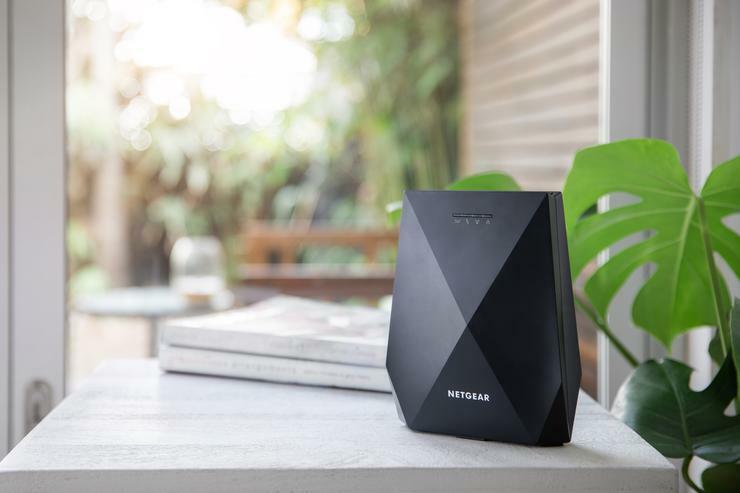 We followed it up with Nighthawk Mesh Wi-Fi extenders that provided the mesh Wi-Fi capability without replacing your current Wi-Fi router,” said Sandeep Harpalani, Vice President of Product Management of Connected Home Products for Netgear. “As customers have responded with enthusiasm to Mesh solutions to improve their WiFi, we are pleased to introduce our latest offering with Nighthawk X6, which provides a flexible, high performance, secure solution for customers to extend their home network,” added Harpalani. In Australia, the Netgear Nighthawk X6 Tri-Band Wi-Fi Mesh Extender will be available for $299. For more information, visit http://www.netgear.com.au/home/products/networking/wifi-range-extenders/EX7700.aspx.